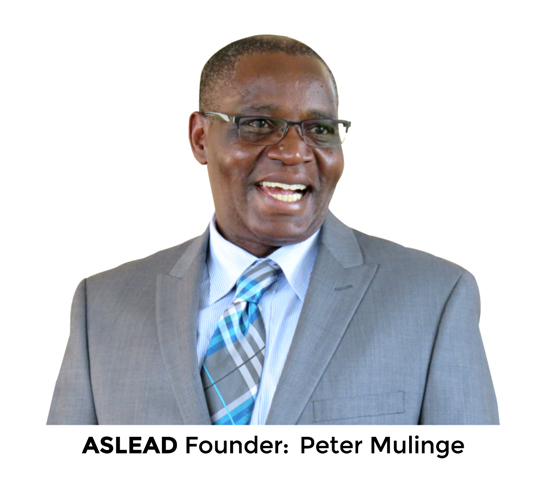 ASLEAD started in 2007, when the founder Peter Mulinge came to study in United States. Peter came from a very poor and humble background in Kenya. He was appointed into a leadership position in his local church at the age of 15. Since then, his life has revolved around leadership in both the church and in secular society, on all levels. Over the years Peter encountered both good and bad leadership, which was generally strongly influenced by its social environment. During his studies in the United States, Peter was fortunate to experience leadership that was governed by integrity and authenticity. The example set by such leaders inspired Peter to meet the challenge of training leaders who are guided, and guarded, by virtues of morality and integrity. Peter sought God in prayer to ask for His guidance in the development of leaders, and the provision of resources, so that he could continue with the mission to train a generation of authentic leaders in both the church and secular world. As Peter continued to seek guidance from the Lord, his understanding grew to understand that he had to nurture and develop leaders who are in transition, so that they would consistently lead people with integrity. Such leaders should leave an enduring legacy and then when they are done, finish well.